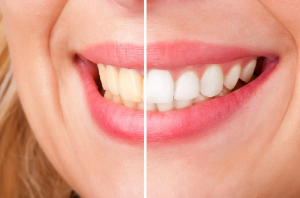 Teeth whitening done at home is a process that requires patience and dedication to achieve a stunning, brighter pearly whites. While doing your teeth whitening home remedies, bear in mind that certain factors must be avoided to get the desired results. It is also one best way of helping yourself to be disciplined when it comes to the health of your teeth. There are different at-home teeth whitening remedies you can choose from. These may range from strips, whitening kits and toothpastes. Even healthy foods may take part in whitening your teeth. Find out how these stuff works.